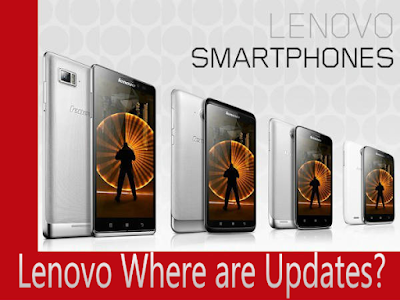 Home » » Lenovo Where are Updates? Lenovo is a Chinese company which is very renowned for it's PC market. From last three four years it is also launching many android smartphones in the market. The company uses it's self customized user interface based on android in it's smartphones. So the smartphone should get regular software updates from time to time. The company should also provide security updates every month. The company make many promises about the software updates at the launch of the smartphones. For 2-3 months only after the launch the company provide software updates but after that the company provide updates very rarely. So I have a big question from Lenovo that Please provide updates for it's smartphones and if it can't provide these updates, please simply don't make false promises and stop saying that we keep our phones updated. So based on this, Ash from C4etech has posted a video on it's YouTube channel. I am linking this video here so that you can have better understanding about what I would like to convey.